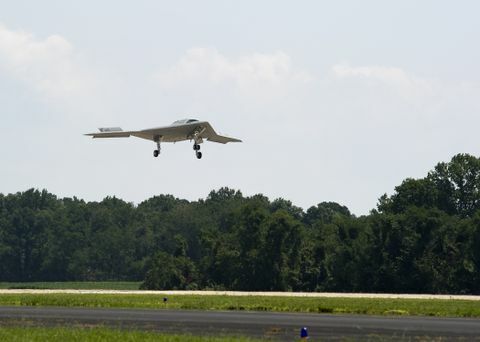 NAVAL AIR STATION PATUXENT RIVER, Md., July 30, 2012 -- The Northrop Grumman Corporation (NYSE:NOC)-built X-47B Unmanned Combat Air System (UCAS) demonstrator has successfully completed its historic first flight from Naval Air Station Patuxent (Pax) River. 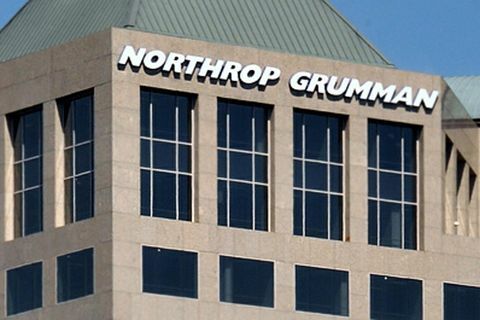 Northrop Grumman is the Navy's prime contractor for the UCAS Carrier Demonstration (UCAS-D) program. The company designed and built two X-47B demonstrator aircraft for the program, which is managed by Naval Air Systems Command (NAVAIR). During the flight, which comprised two precision racetrack patterns over the Chesapeake Bay, the aircraft reached a maximum altitude of 7,500 feet and a maximum air speed of 180 knots. 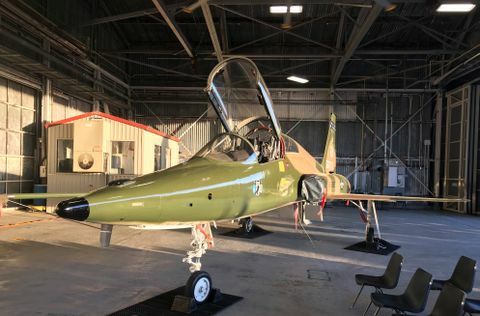 Martis reported that the flight reconfirmed the aircraft's aerodynamic performance, and the performance of its propulsion and flush air data systems. Mission operators also confirmed that the aircraft responded correctly to commands from its onboard guidance, navigation and control system. 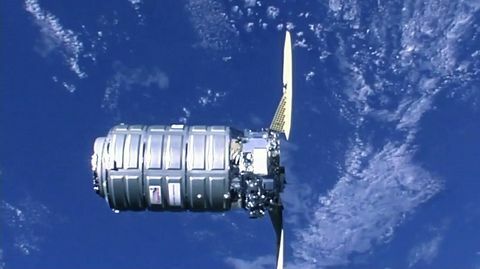 The team of mission operators for the first Pax River flight included Lt. Cmdr. Brian Loustaunau, U.S. Navy, NAVAIR's lead flight test project officer on the UCAS-D program. 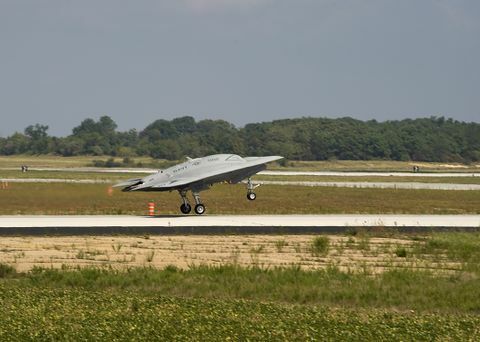 "It's very significant to have a Navy mission operator fully integrated into test operations during the X-47B's first flight at Pax River," said Loustaunau. "The team is performing well and looking forward to our next phase of testing." During the flight, the aircraft communicated with a shore-based version of the aircraft carrier systems that will help guide the X-47B to precision landings on the carrier deck, which are located in the Navy UCAS Aviation/Ship Integration Facility at Pax River. 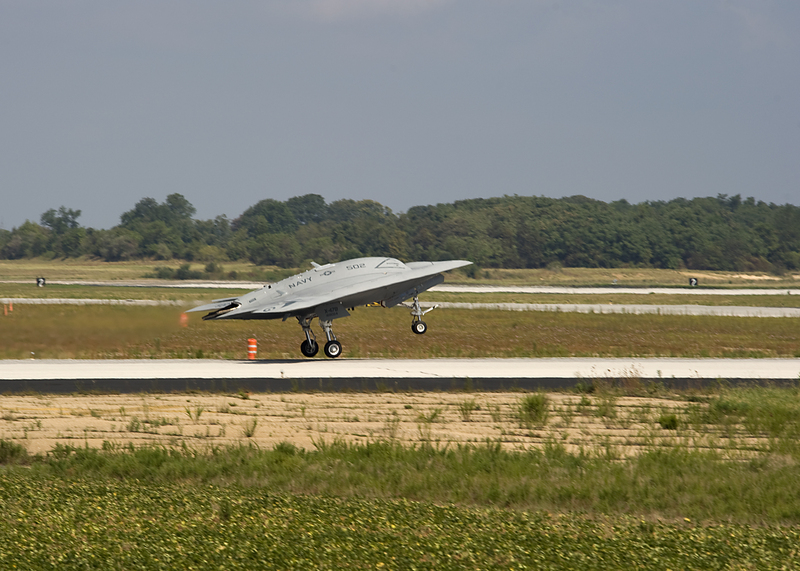 In 2013, the UCAS-D program plans to demonstrate the ability of the X-47B to safely operate from a Navy aircraft carrier, including launch, recovery, and air traffic control operations. Those trials will be followed by a demonstration of autonomous aerial refueling in 2014. The program also plans to mature technologies required for potential future Navy unmanned air system programs. For the latest X-47B news and information, please visit www.as.northropgrumman.com/products/nucasx47b/ .